The island of Krk is the largest island in Croatia, located in the northern Adriatic Sea, in the Kvarner Bay, just 30 km from the city of Rijeka. This island is a known and recognized tourist destination because of its mild Mediterranean climate, favourable geographical position and a wealth of diverse natural and cultural beauty, and from ancient days has been called ” the golden island”. Because of its rich cultural heritage, Krk is even called the cradle of Croatian culture; in the early 20th century, it was also called the sixth continent. No matter how you decide to travel to the island of Krk, by car across the bridge, by boat or ferry (ferry Valbiska and Baska) or plane (Rijeka airport near Omisalj), rest assured that you will very quickly discover that this beautiful island is characterized by a unique diversity – a perfect blend of present and past shrouded in natural beauties that are simply breathtaking. The island of Krk is really rich with beaches, from the popular tourist beaches like Drazica and Jezevac on the island of Krk, beach Rupa in Malinska, beach Pesja in Omisalj cove, bay beaches Kijac to those hidden beaches that are located in smaller towns such as Klimno Glavotok, Stara Baska. 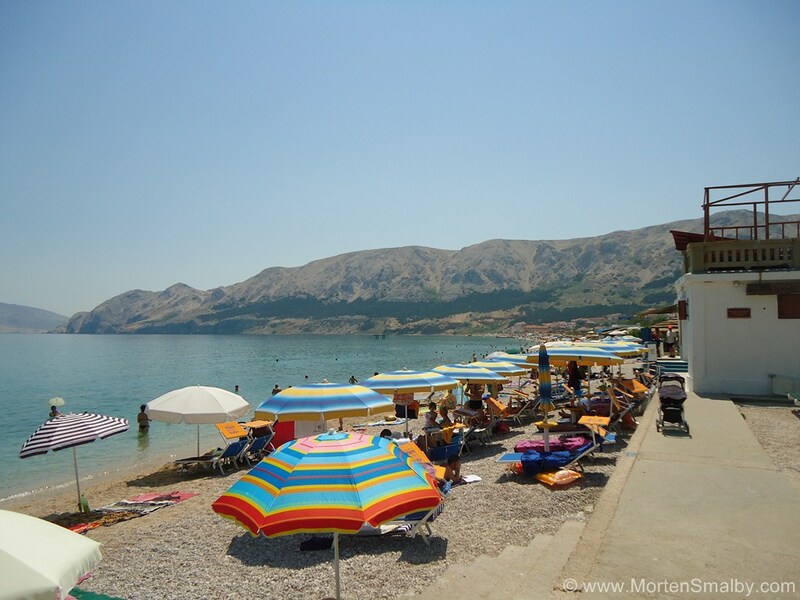 There are also beaches which due to their proven effectiveness of medicinal mud attract many tourists like the beaches in the Bay of Soline at Dobrinje that in recent years has been increasingly visited. Privacy offered by the beaches on the island and the possibility of complete indulgence in the sun and the sea can be found on one of the nudist beaches on the island. Some of them are located in the campsites, while others are well-protected by forests and are located in the famous Krk bays. 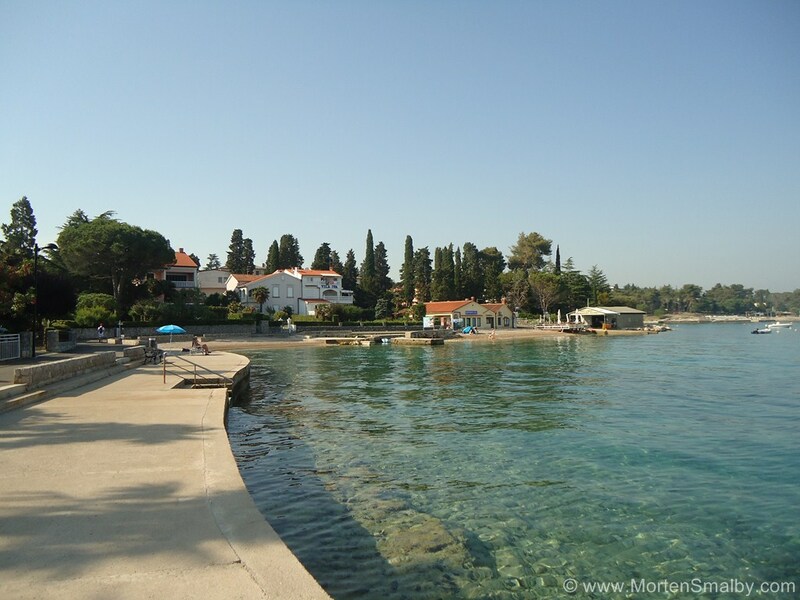 More info on beaches on the island of Krk can be found here. Apart from hotels and campsites on the island you can find a wide range of private accommodation, family houses with quality rooms and apartments, some of which are close to the sea. Many travel agencies on the island, which can be found in almost every small and large town on the island, will help you find the desired accommodation in the perfect location. Hotels on the island are mostly located near the beautiful beaches of Krk, and besides standard accommodation and food, they offer various contents such as entertainment, sports, and a variety of excursions, spa and wellness, etc. 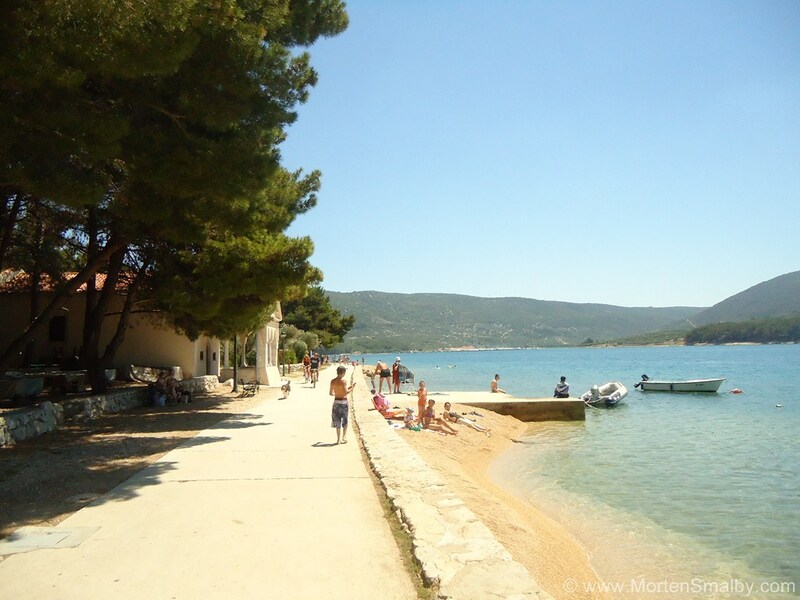 Campsites on the Island of Krk are situated on some of the most beautiful locations along the coast and in its rich offer, except for quality accommodation, also have numerous events, maintained sanitary facilities, good supply and hospitality. 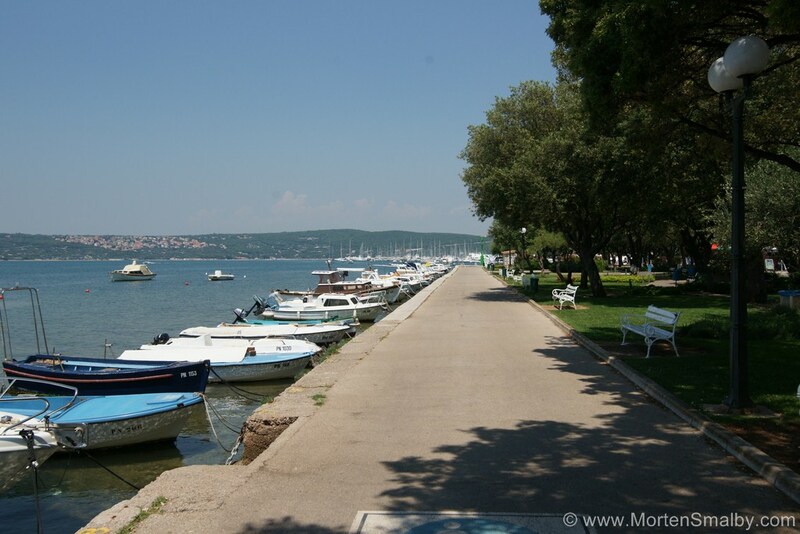 One of the most popular is Camping Krk. Malinska: (Malinska-Dubašnica) Popular tourist town on the north-western part of the island, population of about 3.000 people. Njivice: Small tourist settlement on the north-western part of the Island, Population of about 1.000 inhabitants. 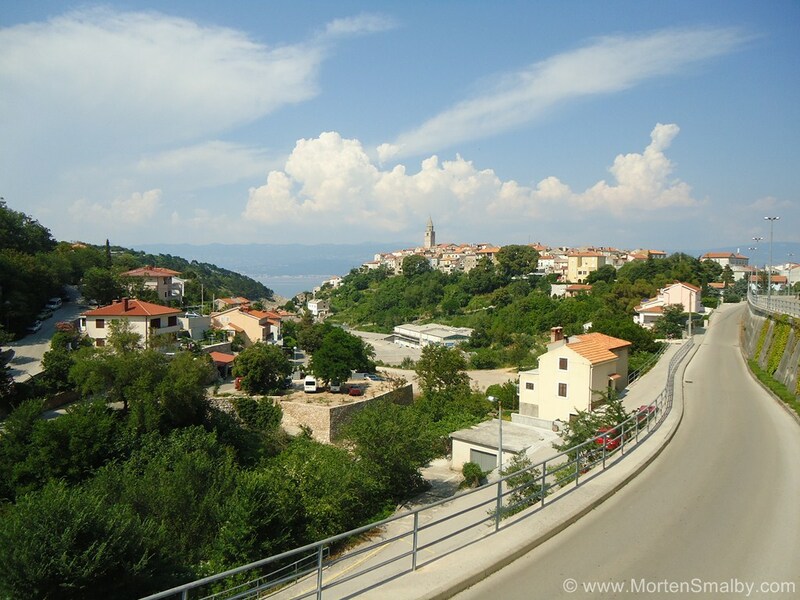 Vrbnik: Situated on the eastside of the Island towards the main land, city is a spectacular view arriving from the Sea, population about 1.200 people. Baska: properly the most well know touristic destination on the Island, situated at the south end and has a population of about 1.800 people. 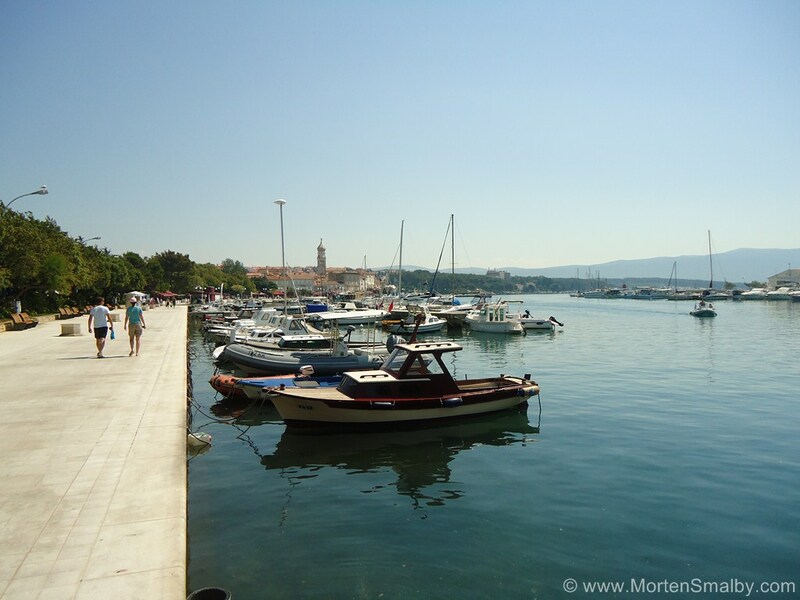 The island of Krk is rich in numerous local taverns, good restaurants, numerous cafes and other catering establishments. Hospitable people with a pleasant atmosphere and rich cuisine will make your stay on this paradise island real experience for your palate. The culinary wealth of the island is best witnessed by epithets given by the Romans: “shiny city of Krk,” while the Venetian proveditors called Krk “happy and golden“. An old legend says how the lamb from the island was served even at the glorious feasts of Nero in Rome. There are also indispensable meat specialties, which in no way lag behind those with fish, also cooked in a traditional Mediterranean style. If you want to try an authentic Krk specialty there is a special island delicacy made of goat cheese – presnac (presnec or presnoc). On the island, except for the rich historical and cultural heritage, superb cuisine, comfortable accommodation and beautiful beaches where you can enjoy swimming, diving, surfing, you can also enjoy various sports activities. Lovers of active holidays can choose from different types of sports. On the island you can enjoy – tennis, beach volleyball, mini-golf, table tennis, water skiing, jet skiing, parachuting and many others. There is also the possibility to rent bikes and scooters and there are numerous hiking trails; underwater enthusiasts can visit one of the diving schools on the island, while those more advanced can enjoy the beautiful diving locations. In order to make your holidays even more entertaining and more complete, the offer on the island includes numerous excursions. 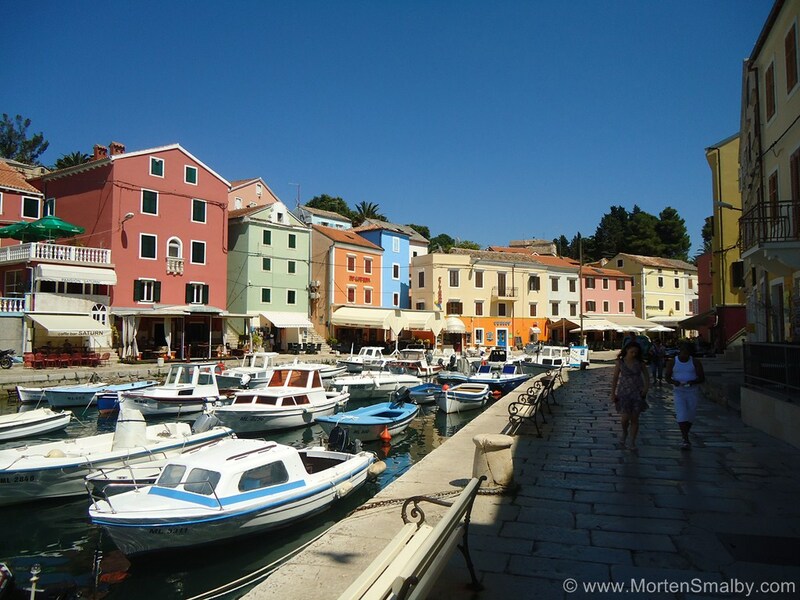 The island of Krk has a variety of shops, supermarkets, souvenir shops, market, fish, pastry shops, bakeries and other commercial establishments of which most are located in the town of Krk. 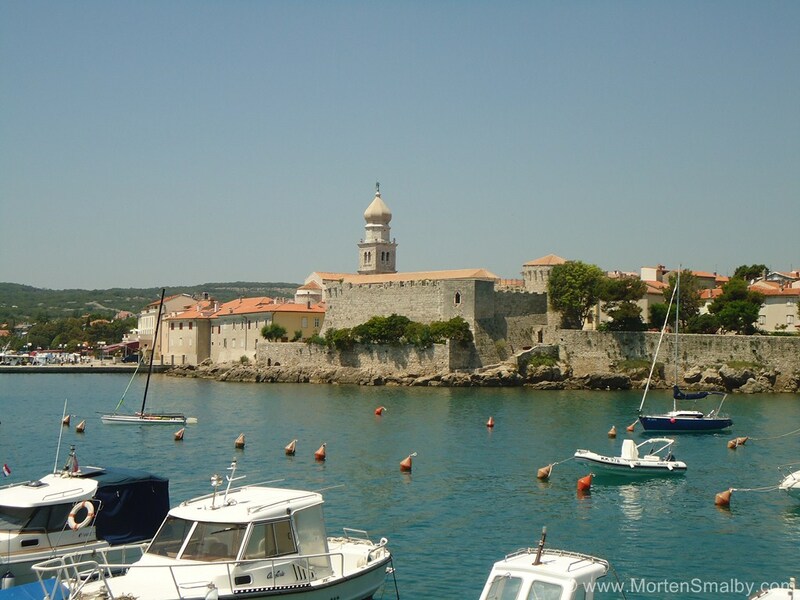 The island of Krk is rich in cultural and entertainment events. We can mention the Eco, ethno and wine fest in Malinska, Days of Wine of the island in Vrbnik and various concerts, events and fishermen’s nights. On the island, as well as on other Dalmatian islands, you can have fun to the Dalmatian song, dance and a wide range of local specialties. On the beaches you will find numerous cafes where you can relax with a variety of drinks and cocktails. During the summer, some of them have a variety of performances and DJs. And for all those who are looking for a dynamic night life there is Malinska which is regarded as the centre of nightlife on the island, while the city of Krk is a good choice for those seeking a peaceful and relaxing entertainment or cultural events which represent the folklore heritage. Island Krk truly cherishes its traditions and cultural heritage so we suggest that you visit the city Dobrinj which hosts numerous folklore events. In mid-August, there is a ceremony known as the Stomorina or Vela Gospoja in Omisalj; the oldest and most important Marian feast which on the 15th August celebrates and mentions the Assumption of the Virgin and is accompanied by dance, young girls and boys in traditional costumes. As already mentioned, the island of Krk can be reached by car via the bridge, by boat or ferry (ferry Valbiska and Baska) or plane (Rijeka airport near Omisalj). 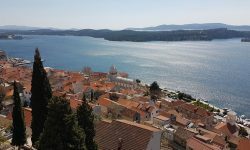 More info on how to get to the island of Krk can be found here.